Paula Dean has diabetes! Of course, you have to have been living in a cave to not have already heard this news! First, we’d like to offer our sincere apologies to Mrs. Dean for her recent diagnosis. Type II Diabetes is a disease that would be tough to live with. And, if left ignored, can have a huge impact on the expected lifespan of the person diagnosed. So, our thoughts go out to Paula and her family while they adapt to the changes required in her life to treat her disease. 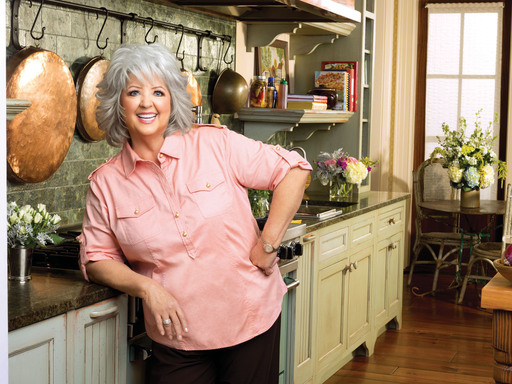 However, the true topic of controversy here is that Paula has announced that she has no desire to change her cooking and eating habits to accommodate her newly diagnosed disease. Instead, she is turning to medication to treat it. Although modern medicine provides great opportunities to treat sicknesses in our society, we believe that the best way to treat Type II Diabetes is through a combination of diet, exercise and medication when necessary. And, although claims have been made that her diabetes is hereditary, Type II Diabetes is primarily caused by poor eating habits like choosing foods that are high in fat, sugar and calories. Rather than fresh fruits, vegetables, lean proteins and foods that are low in carbohydrates and fatty oils, which we all know are used heavily in Paula’s most famous recipes. Here are some shocking statistics! Approximately 26 Million Americans are currently living with some form of diabetes. And, approximately 58% of them are treating their disease with oral medication. The total cost for Diabetes Management is estimated at $174 billion, yes that’s BILLION, each year! It’s important to note here that we acknowledge there are times when medication is necessary to treat diabetes. However, using it as a blanket treatment for diabetes is very expensive for the patient, and isn’t always necessary in order to treat it appropriately. This is why diabetes education is so important! I’m not sure if you know this, but NCES offers a wide range of diabetes education products to help patients who have been diagnosed with diabetes. We also carry a number of products designed to help the diabetes educator teach their patients about the disease. Check them out today, and be sure to share them with your friends too. Diabetes is the most commonly diagnosed health-related illness in our society. Let’s turn this trend around! Plus, you never know… maybe if we share this enough, Paula Dean herself could get wind of these great tools and incorporate them in to her daily life!